The original Scottish savoury biscuit. 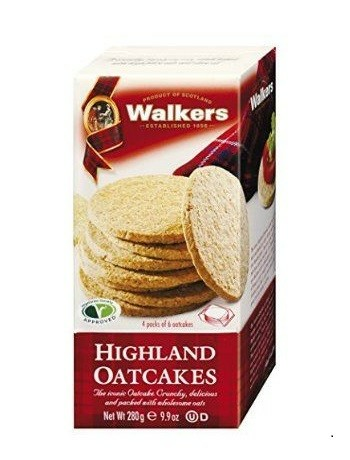 Traditionally made from naturally wholesome wholegrain oats in the village of Aberlour in the Highlands of Scotland. Ingredients: oatmeal (86%) vegetable oils skimmed milk powder salt raising agent (sodium bicarbonate). Contains milk gluten. Not suitable for nut allergy sufferers.